Existing research indicates that Indigenous people remain under-represented in Australian universities. Traditional approaches to investigating these issues are not adequate because they fail to consider the interactional relationships between Indigenous and Non-Indigenous people. 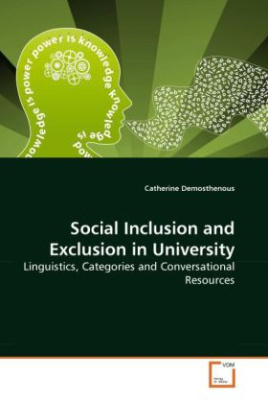 Drawing on ethnomethodology's conversation analysis and membership categorisation analysis, this book examines the linguistic, categorial and conversational resources that Indigenous and Non-Indigenous persons use in their everyday university interactions. Numerous examples show how Indigenous and Non-Indigenous people partition and align the population. The author finds that race has a significant impact on Indigenous peoples' experience of inclusion of exclusion in university life, which is not the case for Non- Indigenous people. This (and other) findings make important contributions to current policy, theory, practice and research across a range of relevant areas.